This year has been a very good one for superhero-loving Sherlock fans. Not only is Benedict Cumberbatch shortly to star in Doctor Strange, Martin Freeman previously appeared in a supporting role in Marvel’s Captain America: Civil War. Plus, lots more appearances from the actor are promised in the future. 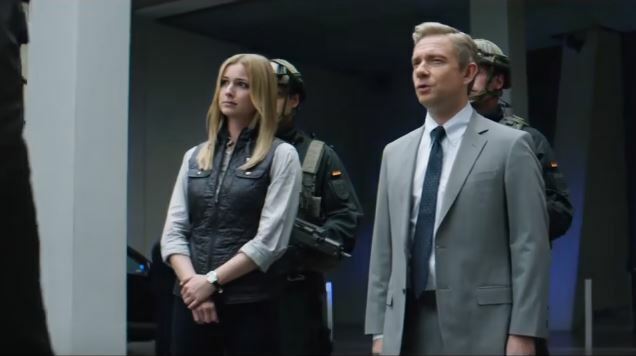 In the meantime, you can glimpse Martin in a teaser for the movie’s blooper reel. Be warned, though, he’s in a more foul-mouthed mood than we are used to seeing with John Watson. This is a trailer for the full gag reel which will be found on Civil War‘s upcoming Blu-Ray release. It arrives on September 2nd on digital and September 13th in hard copy.